Her history of being an advocate for Edmonton arts scene started when she had to choose between continuing her career in Toronto or coming back home to Alberta. She chose home, and hasn’t looked back since. 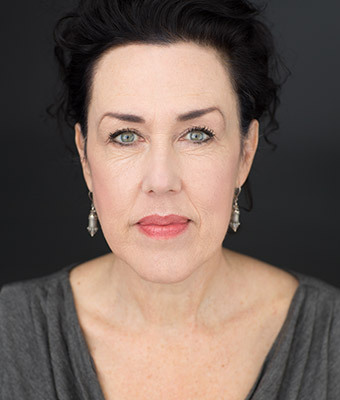 Sheri has performed locally for the Citadel Theatre, Edmonton Symphony, Edmonton Opera, Edmonton Jazz Festival, Brian Webb Dance, Teatro La Quindicina, Workshop West and she has toured internationally with Catalyst Theatre and as a jazz vocalist. A highlight was the invitation to sing for Her Majesty Queen Elizabeth II during Alberta’s centennial celebrations, and at the memorial for the late Lois Hole. Today, Sheri is still a core member of the live improvised comedic troupe, Die Nasty. She was awarded an AMPIA Award for Best Female Comedic Host for a live telecast from the Winspear Centre. As past president of the Varscona Theatre Alliance, Sheri was part of the steering committee to rebuild the Varscona theatre (now in progress). She was also the owner/operator of Somerville Wine Room, a local wine bar and bistro on 124th Street. Wanting to continue running a business focusing on the not-for-profit sector, she was approached by the board of Citie Ballet and a wonderful relationship was formed. Her goal as executive director for Citie Ballet is to facilitate the artistic team’s goals to carve out a distinct identity as an innovative ballet company, while always paying homage to the legacy of classical ballet. Many might not know this, but Sheri’s very first introduction to the performing arts was at a ballet class. And although this dream changed as she explored the world as a singer and actress, she is excited to help facilitate the dreams of our professional ballet dancers.